Left cartridge: rimless. Right cartridge: Flanged. Flanged - A cartridge with a pronounced rim at the base. 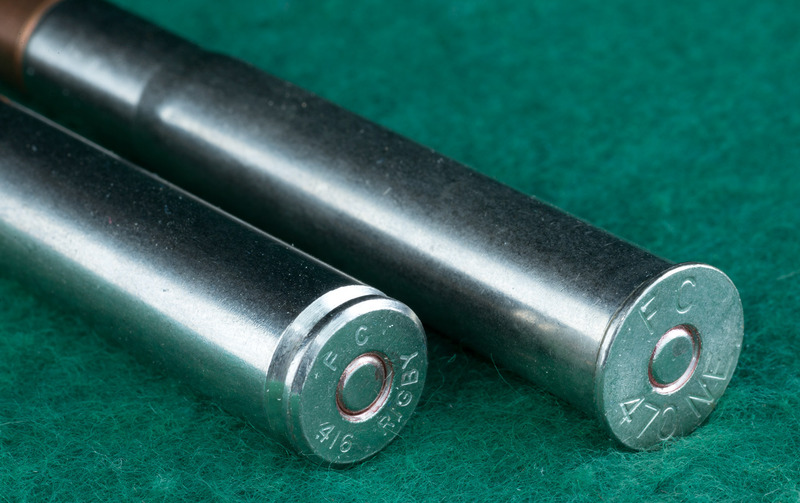 While not as easy-feeding in a repeating firearm as a rimless cartridge, far more reliably extracting in a break-open firearm---particularly important in a heavy double rifle for use against big game that might fight back.